When it comes to installing third party apps on iPhone or iPad is too difficult as not impossible. Cydia Impactor Tool will sideload the iOS apps onto your iPhone or iPad from a Windows or Mac computer. Jailbreak iDevice is not at all required as this process is completely jailbreak free tweak. Of course, you can sideload IPA files onto your iPhone or iPad using Xcode. But it has limitations and even that is too difficult to process. Cydia Impactor Tool is available for Mac, Windows, and Linux as well. It means that you can sideload iOS App IPA files from a Windows, Mac or Linux computer. You need to note that this tool is not an app emulator. There is a huge difference between the Impactor tool and an app emulator. App emulator is a cross-platform app installation tool. Whereas, Impactor is a congruent tool to sideload iOS Apps from a computer onto iPhone or iPad without jailbreak. So that, you can have much more Cydia Tweaks without Cydia and no jailbreak as well. A Windows or Mac or a Linux Computer. iTunes must be installed if you are about to install IPA files on iPhone or iPad. Some space on your iOS device. Download Cydia Impactor for Mac OS X from this link. It is a (.dmg) file and I hope you do not need instructions to install the file on your MacBook. Download Cydia Impactor for Linux from this link. You may follow this guide to Install the software on your Linux computer. You can get the impactor file for your windows computer from this link. I suggest you please do not run the software as an administrator if you are on windows 10. If you are on Android device, you can use the Impactor’s USB Driver to load your android device. First of all, just get the app onto your windows computer and make sure that you are completely ready with the requirements. Check out the instructions. Locate the Impactor.zip on your windows computer and extract it. Now, you must see Impactor.exe and you have a lot to do with it. Double-click on the file to run it on your windows computer and do not forget that you should not run it as an administrative. It will take some time similar to the installation of other software packages. Go back to the Desktop of your Windows computer to launch the app. It’s as simple as that and that is all you should to for installing the app on your windows computer. It is always recommended to stay up to date whether it can be a software package or a hardware device. In a similar manner, It is much better to stay up to date on Cydia Impactor tool also as it will clear your issues. So, here you go and check for the updates. Launch the impactor app on your windows pc. Go to Impactor Options and click on “Check for Update..“. It will show you if the current version on your computer has any update. Go for it if you find any as Cydia impactor extension update is also the same. Installing a simple Impactor.exe file on your windows pc is not just enough. All you need to know is sideloading the IPA files on your iPhone. Note: I recommend you to take backup of your iOS device using iCloud or iTunes. And also make sure that the iTunes is upto date on your machine. Download and Install Cydia Installer Tool on your Windows or Mac or Linux machine. Skip to “Step 2” if you are ready. Now, you need to download the IPA files of the app that you want to sideload on your iOS device. You may find the files from the app developer’s site. Every app will have an IPA file and each IPA file is different from another. 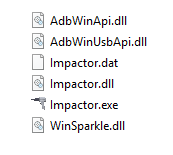 Moreover, The impactor tool will not install deb files at all. It will install iOS apps on iOS devices and Apk files on Android devices. Save the downloaded IPA file of the app that you want to sideload on your computer. Launch Cydia Impactor Tool on your PC or Laptop. Connect your iPhone or iPad using an USB Cable and Trust the computer on your iOS device. Minimise if the iTunes is active on your computer. Select the connected iOS device from the first drop down menu. Select, Drag and drop the IPA file of the app on Cydia Impactor Tool on your pc. It will ask you for an Apple ID of the Apple Developer account. There are two types in developer account and they are free and paid. This is must in order to sign the app to install it on your iOS device. Of course, you can see the free account and it will expire in 7 days and you may need to do the same procedure every week. Whereas, paid developer account will not cause such issues at all. You will get a warning message showing that the previous apple id will be revoked and the new account will be replaced if you have given any account already. By the way, it will take few minutes to wrap up. After few minutes, you can see the app icon on the home screen of your iOS device. The process is not so simple as it should fetch all required certificates from the developer ID to digitally sign the app to be installed on your iDevice. Moreover, you need to trust profile certificate of the app on your iOS device to use it without issues. Head over to Settings>>General>>Profiles and click on the profile and click “Trust“. Go back to the home screen of your iOS device and launch the app that you have installed and use it without limits. So, that is a complete guide to Install IPA files on any iOS device from a Windows or Mac and Linux computer. If any errors, Check out the guide attached below. This error might occur on your iPhone or iPad anytime like while Jailbreaking if you are using this tool to jailbreak along with the Yalu. The same error will also occur while you are trying to side load apps on your iPhone or iPad using the methods given above. I have given the best method to resolve the error code right away. 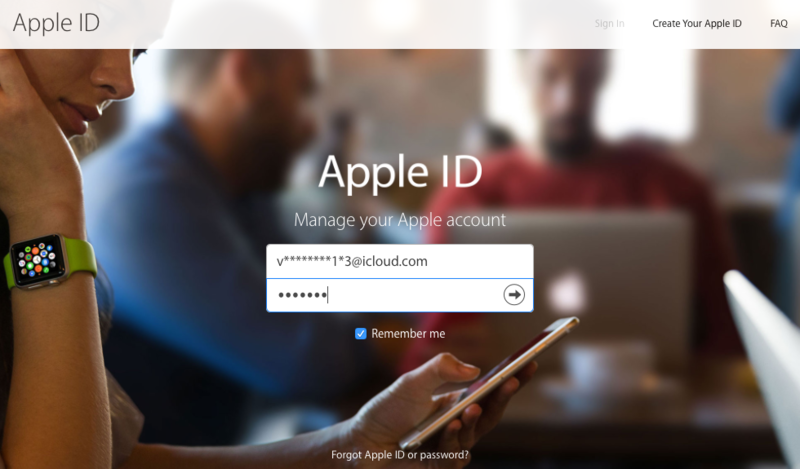 Open http://appleid.apple.com/ on your iOS device and log in with your iCloud email id and password. Enter the answers for the security questions if you get any in the mean time. Scroll down till the “Security” session and Click on “Edit” option that you can see as in the image below. Now, You can see “APP-SPECIFIC PASSWORDS” section under the expanded menu of “Security“. Click on the Generate Password option, which is on the right side of the above-mentioned section. You must save the password somewhere on your iDevice, generated in the above step. You must use that passcode instead of your actual Apple ID and Password. Open Cydia Impactor and if it asks you to enter your Apple ID details, Give the actual Apple ID of yours and then give the password generated now. I hope the error code provision.cpp:150 is fixed with the procedure we have come across. The same procedure is enough either you are jailbreaking your device (I won’t recommend jailbreak) and while side loading iOS apps on iPhone or iPad. Now you can install third party iOS apps on your iPhone without any struggle. You just need to get the impactor file for your Windows, Mac or a Linux computer. In case of any doubts and queries, place them in the comments as I would like to hear from, and help you. Thank You so much. Storage deficiency on your iOS device might be one of the reasons for the delay and make some room to allow new app installations. Moreover, You can also give it a try by reconnecting the iOS device to the computer.